What a lovely job of coloring, Lisa! Multiple colors really add a lot of depth. The flowers are very good, but I especially love the leaves; they're very realistic. Thanks for sharing! 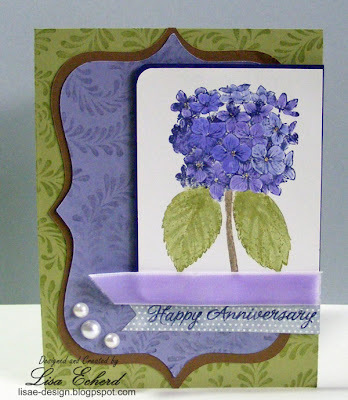 That stamp is so lovely, and you coloured it up beautifully. I don't want to see what we owe in taxes, I told Wayne to just pay it and don't show me. I don't want to know, lol. 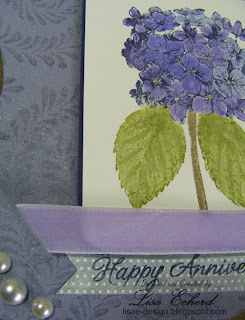 Such a lovely card and so beautifully done! I'd do some spring cleaning if it ever warms up around here! Beautiful! It is perfect and makes me want Spring even more. This is absolutely stunning, Lisa. Everything about it is perfect.